I was really excited this week to receive a package in the mail that contained a newly published book from my friend, Dianne Bailey. 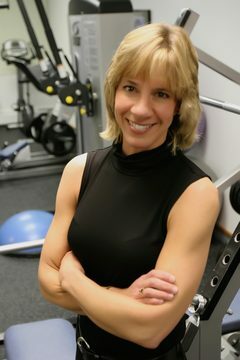 Dianne is a Personal Trainer and studio owner near Denver, Colorado. I’ve known Dianne for 7 years and she is an inspirational fitness educator and role model. She also just hit a Home Run with her first book “Eating Simply“! If you’ve been in a book store lately and looked down the “Fitness and Nutrition” aisle, you’ll know how confusing it can be to look for some simple guidance into how to exercise and, especially, how to eat. Low Fat?… Low Carb?… Vegan?… “Paleo?”… You need a PhD just to understand some of them and others require you to obsess over ever last little detail of what goes into your body until you’re ready to scream. In my experience, if a plan becomes a burden (or boring) people WILL NOT stick to it. 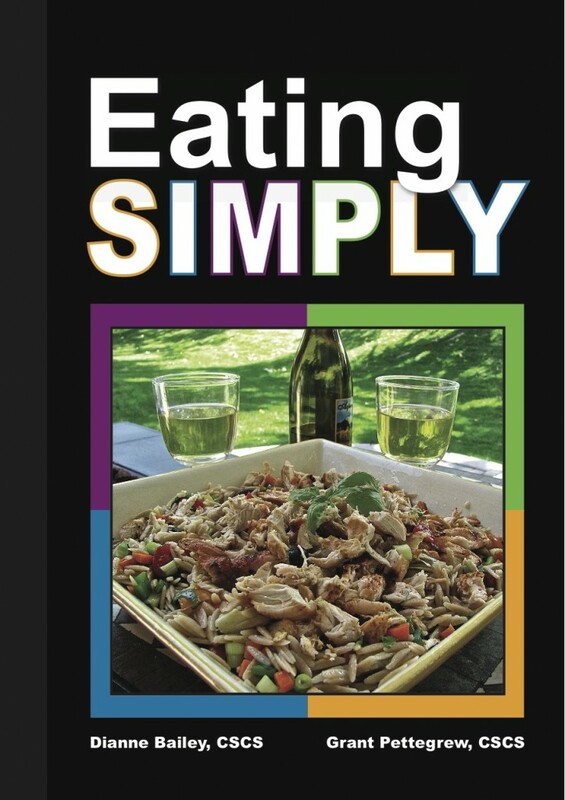 As the title of Dianne’s book implies, the eating style that she promotes is “simple” above all else. It is also very realistic and it WORKS. The foundation of “Eating Simply” is that it features real food… for real people. 1- Eat frequently. To be able to burn fat effectively and maintain (or gain) a lean body, it requires that you have an efficient metabolism. Metabolism is the speed which with your body burns fat and uses fuel. It increases every time that you add muscle AND every time that you eat. 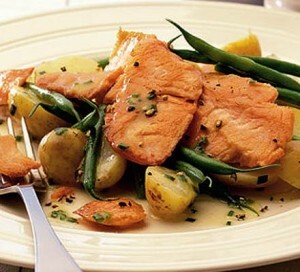 Ideally, you would consume a mix of protein, carbohydrate and healthy fat every 3 to 3 1/2 hours. Example… Greek Yogourt, Berries, Pumpkin Seeds. 2- Eat naturally. Natural means, closer to how nature or less processed. Food in it’s natural state requires the body to do great amounts of work in the act of digestion. This means that your body will actually burn calories digesting a real potato as opposed to potato chips. More work in digesting also means that you will get energy for longer with no blood sugar spikes, meaning less cravings and more stable energy. 3- Eat completely. Some diet fads have you eliminate entire “macro” nutrient food groups. The fact is that you NEED each of these three types of nutrients. Protein, carbohydrate… and fat. When you eat them in the right combination (every 3 to 3 1/2 hours), you will be training your body to be better at NOT storing excess fat and at maintaining stable energy supplies. Example… a large salad with tuna, slivered almonds and avocado with an orange for dessert. 4- Eat less sugar. Sugar is associated with many health problems from cellular inflammation to diabetes and obesity. It is also addictive and added to almost everything that we eat. While Eating Simply encourages you to EAT for health, not to deprive yourself, cutting back on sugar is one thing that can move you quickly in the direction of consistent energy and a leaner, healthier body. Simply put, the more sugar you eat, the more you crave sugar. Over consuming sugars will spike your blood sugar levels and force your body to produce more of the hormone, insulin to process it. When this happens, your body goes into a “storage” mode and you start to store body fat at a higher rate. Cutting back can be challenging at first, but, you can do it and will notice big changes very soon. 5- Eat to be stable. If you follow the 4 previous rules, your blood sugar levels will be much more “stable”. This means that you won’t have tremendous highs (…ever seen a kid after eating a big bowl of Cap’n Crunch?) or those crashes where you feel nauseous or dizzy and irritable. Stabilizing your blood sugar levels by eating simply will give you consistent energy throughout the day. It will also create a hormonal environment where your body does not have to store, or hold onto, energy and it will accelerate the rate that it releases energy (primarily fat). The importance of stabilizing your blood sugar can’t be overstated for you to be successful! That’s it. Simple, easy and very realistic. Take the foods and meals that you already eat. Clean them up a bit so that they are “complete” and then adjust your portion sizes so that you are hungry every 3 to 3 1/2 hours. And then EAT! Train Like a Rock Star!